I`m a lover of agricole rums and St Aubin is new to me even though it`s not new on the market. Hailing from beautiful Mauritius it`s an exotic and exciting rum to review! St Aubin plantation located on southern Mauritius has been cultivating sugarcane since 1890 and takes it´s name from one of it`s first owner Pierre de St Aubin. On the estate there`s both artisanal and a traditional rums made. And what more is, they also have a tea plantation, Bois Chéri and a vanilla plantation and that`s the vanilla they use in their vanilla flavored rums. The water used in the rum making comes from their own spring water from Bois Chéri. It`s all local produce here which is something i like. Each rum has it´s specific terroir and on Mauritius there´s abundant sunshine and rich volcanic soil watered by tropical rains creating a micro climate perfect for growing good quality sugarcanes producing this rum made from pure sugar cane juice. On Mauritius the first pressed sugar cane juice is called “fangourin” and it´s that what makes the artisanal rums at St Aubin. It is further fermented and distilled once in a copper alembic still before being bottled without ageing. When you open the bottle the nose you get is mild, herbal, grassy, floral, hints of vanilla, crispy and that of green sugarcane. In the mouth it intensifies strongly and the herbal grassiness comes more upfront. 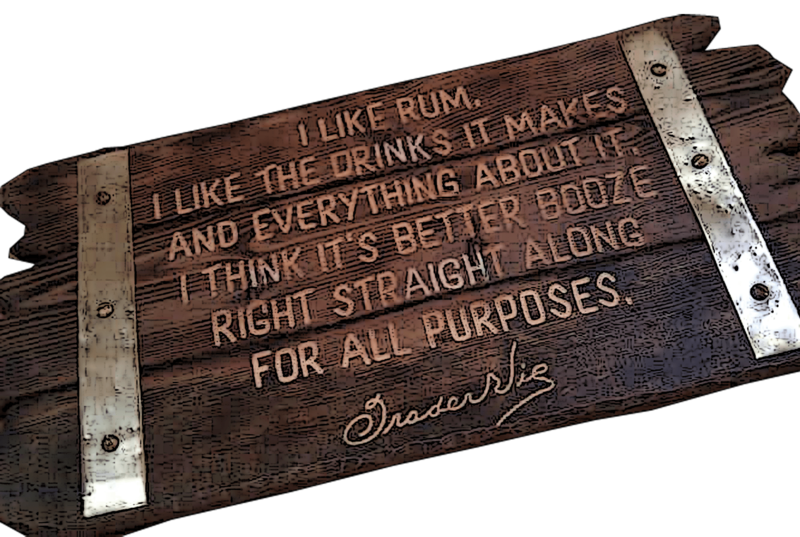 It`s not too sweet and rather on the dry side, and it´s a very pleasant and flavorful rum. I get a mental picture of me sipping on a ti punch…. A piece of lime, cut about 1/3 of a lime and squeeze the juice into the glass on top of the sugar, stir a little then add the rum and stir again. Adding ice or not is up to you…some people swear by no ice while others want some ice. I like it cold but you can also chill the glass, that way you don`t get any dilution from ice. 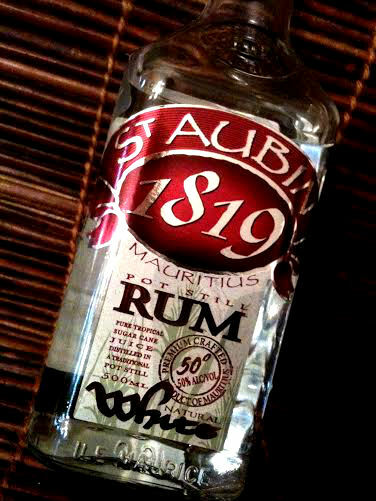 St Aubin 1819 white rum makes a very nice ti punch, flavorful, mild, crispy and refreshing! it´s a pleasure to sip on it. The daiquiri of the french islands! so simple and so tasty! I also have three flavored rums here, coffee, vanilla and coconut. 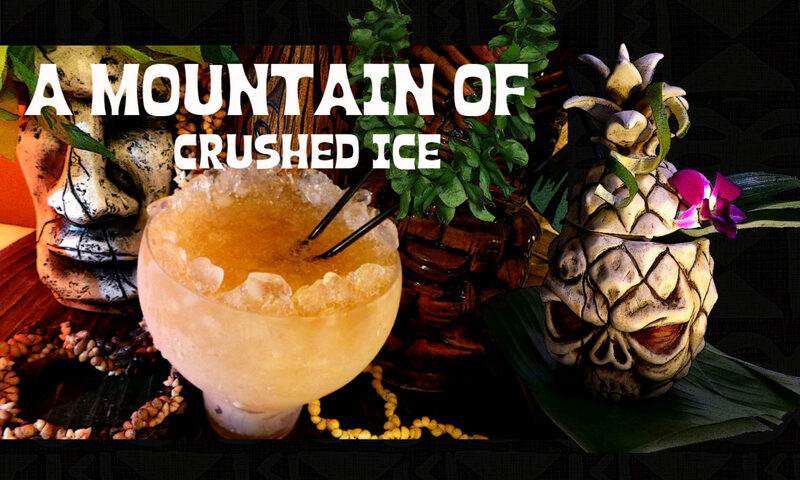 These flavored rums are made from fresh pressed sugar cane juice and they are flavored with natural ingredients. 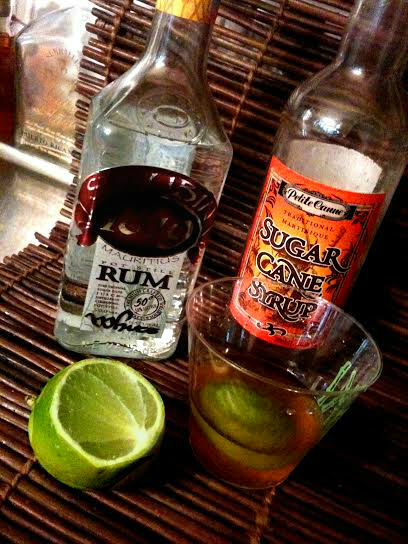 It`s tricky to make a good flavored rum, but these three here are all very well balanced and it tastes just natural. 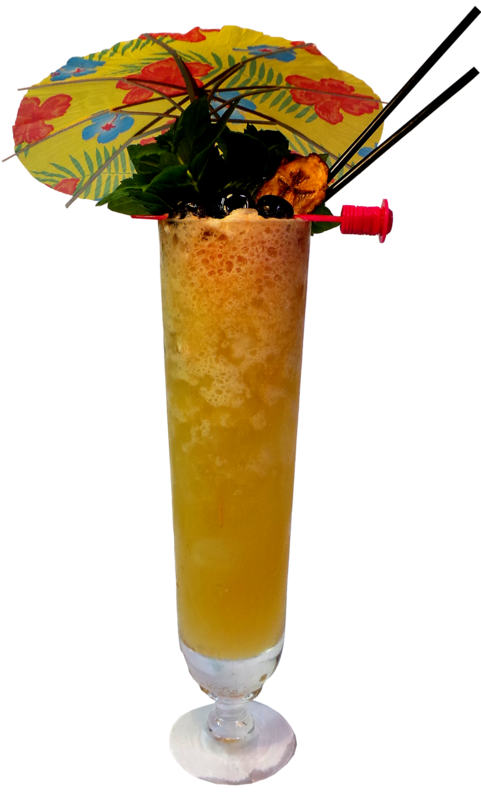 The coconut rum is mild and caresses your palate like a soft tropical breeze…You can drink this on the rocks and also make nice cocktails with it as well as using it in tiki drinks. Vanilla is my favorite spice and i have tried more than once to spice up rums with vanilla beans leaving the beans uncut in the bottle for various length of times but i have personally found it quite difficult to get it balanced and i don`t know how people manage to leave the beans in the bottle without the rum gets ruined by too much of the vanilla flavor. But this vanilla rum from St Aubin is excellent! The nose is mild but deep and almost earthy.The herbal flavor is much more pronounced than i could feel in the coconut rum which to me tasted much lighter. This is spicy, with a deep vanilla flavor without being overpowering. 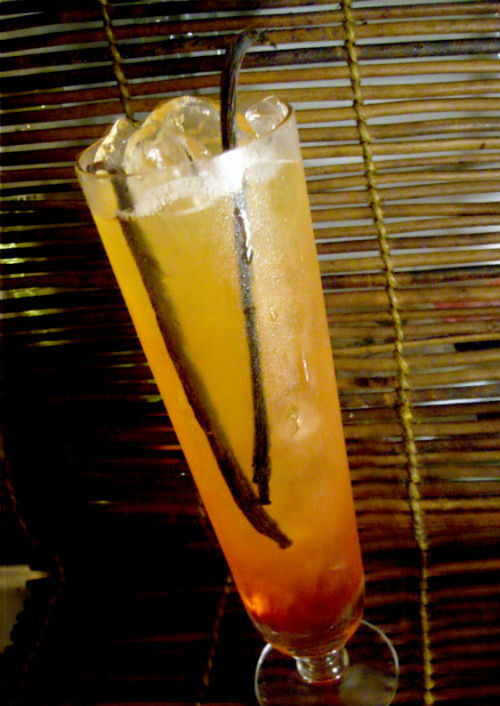 It`s a good vanilla rum and easy on the palate, good to drink as it is or in cocktails. Freshly ground coffee on the nose! with hints of sugarcane. In the mouth a vibrant coffee flavor, sugarcane and even a slight hint of vanilla. It`s mild and nice and easy to drink as well. This could be used on the rocks with ice, in cocktails and even as cocktail ingredient. Would be great in tiki drinks too especially paired with pineapple juice. I find that all three of these flavored rums are very good! and i like that they are made from local ingredients.The coffee used is coming from the region Chamarel on Mauritius, the vanilla is from their own vanilla plantation and the coconuts are of course from the island. 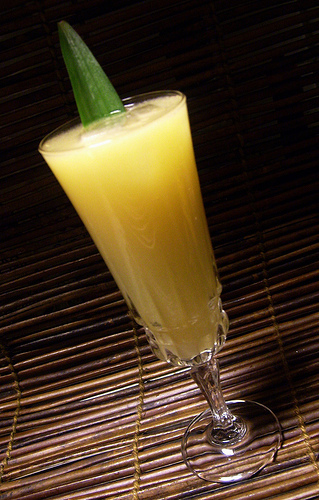 Shake with ice and strain into a tall glass and garnish with a pineapple leaf. Shake with ice and strain into a fancy glass. 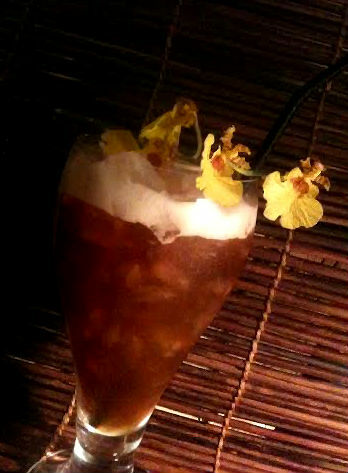 Garnish with an orchid stem. I took a bit less sugar syrup in this one because i found the coffee rum to be a bit sweeter than the coconut. Shake everything except grenadine with ice and strain into a tall glass with ice cubes. Add the grenadine and garnish with vanilla beans. My final conclusion: These are great rums! all of them, if i shall pick a favorite or two it has to be the 50% white and the coconut but they are all good rums and made with local and natural ingredients. 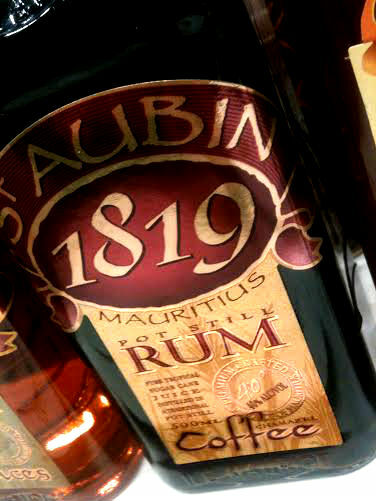 I`d say St Aubin rums is a pleasant surprise! Here is St Aubin`s website. Next PostNext Lost Spirits Colonial American Inspired Rum – Big Bold Flavors!